Ministry teams provide the support necessary for the smooth operation of HRBC as we engage in making disciples for Jesus Christ. Every ministry team's primary purpose has been aligned with a step in our discipleship process of Connect ("Come follow me") → Grow ("Live with Jesus") → Transform ("Be salt and light"). Come be a part of making disciples at HRBC. Click on each section to read about the ministry teams and contact the Member Development and Mobilization Team below to get involved. Connect - "Come follow me"
Publicize the services and ministries of the church. Recommend ways to improve communications within the church body. Decorate the Sanctuary. Decorate all buildings for seasonal emphases. Decorate the Family Life Center or Multi-purpose Room for special events. Plan and coordinate church-wide fellowships including receptions, banquets, and picnics. Coordinate a collaborative effort among existing teams to improve the process of serving guests as they worship with us. Create and maintain a security plan for the church in the event of a natural disaster or act of terrorism on the congregation. Educate members responsible for its implementation. Greet people as they enter and exit church services. Usher at church services. Prepare pews and pew racks for church services. Hand out bulletins as needed. Arrange for nursery care to be provided during regular services of the church. Grow - "Live with Jesus"
Promote Bible study and small groups as a key part of disciple making at HRBC and encourage members to participate in small group study and accountability groups. Help transform our congregational culture to embrace disciple making as the reason we exist as a church. Implement strategies to support this transformation. Educate the members about the gifts God gives to each Christian and match the gifts and callings of members with ministry needs. Assist the music pastor in planning, coordinating, evaluating the music program of the church. Recommend the employment of accompanists. Take care of the musical instruments. Transform - "Be salt and light"
Operate the sound and video system during worship services and record church services. Verify accuracy of financial records. Review procedures for record-keeping and processing financial transactions. Study Baptist church life on ideas, concepts, actions, programs, and ministries being used at other churches that are opening new mission fields to advance God's kingdom. Serve as an advisory team to the Child Development Center, making recommendations to the church on behalf of the CDC. Develop policies and procedures for church approval whereby property and other gifts to the Endowment Fund may be received, managed, and invested to serve future income needs. Establish and manage an annual technology budget. Establish direction for technology, training needs, upgrade plans, etc. Help cast the vision for church missions ministry and oversee all aspects of church missions work. Assist the Pastor and baptismal candidates during baptisms. Prepare the memorial supper and maintain the trays, cups, and linens. Prepare and recommend an annual budget for church staff. Develop and recommend a salary program for the church staff. Maintain the buildings and grounds of the church in good condition. Prepare budget recommendations for maintenance and development of properties and grounds equipment. Identify, gather and preserve church-related minutes, documents, books, rolls, etc. needing preservation. Prepare an annual budget. Monitor the budget and finances to support the church’s daily operations. Count and prepare monies for deposit in the church's bank accounts. Keep all church-owned vehicles in good working condition to meet the transportation needs of the church. Prepare checks to pay salaries and bills. Maintain records of all contributions, expenses, and disbursements. 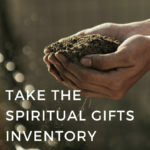 Spiritual gifts are given by God to all believers through the Holy Spirit. Through grace the believer is capable of demonstrating the gift God has given. Discover yours with the inventory resource below. 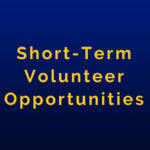 Are you looking for short-term or one-time volunteer opportunities? Click below!